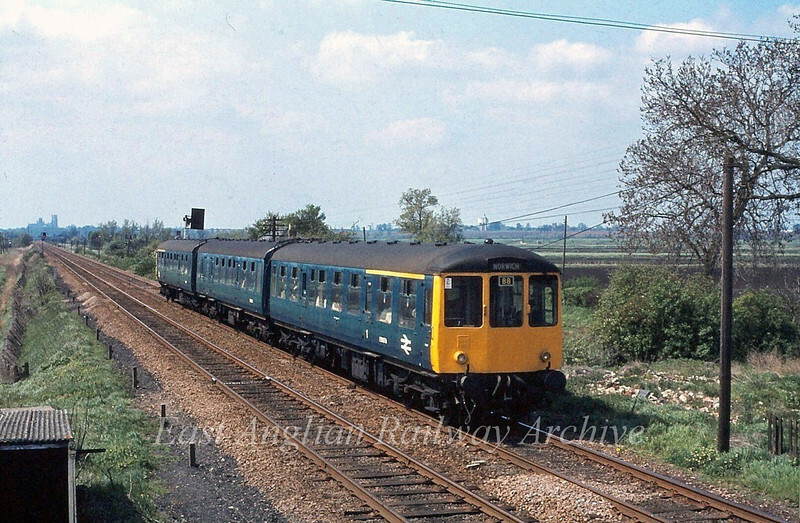 Birmingham RCW Class 104 3 car unit approaches Padnal box with the 1220 Ely to Norwich on 3rd May 1980. The unit is travelling very slowly due to the failure of the automatic half barriers at Mile End Crossing. Ely cathedral can be seen on the skyline. Actually a class 104 BRCW.... one of the Eastern 4-car sets missing its TS.